Many people have been able to get a start in mining though applying for catering jobs first. Taking this direction seems to be an easier option for some people but it is still not without hard work and determination. Although applying for cleaning jobs on mine sites are a great way to get a foot in the door but it is still very very competitive. The people we have heard from who have been successful in getting a cleaning or catering job have done their research on the company prior to the interview. Mine site cleaning and service providers all have websites and some �are listed below. The companies listed here provide a diverse range of services in mining camps and on the mine sites. Monitoring budget, payroll records, and reviewing costs to ensure expenditures are authorized and budgeted. Entry to these occupations is generally through an Australian Qualifications Framework (AQF) Diploma or higher qualification or at least 3 years relevant experience. In some instances relevant experience is required in addition to the formal qualification. J & L Mining Services: QLD based �business, employs �Boilermakers, Labourers, Plumbers, Carpenters, Cleaners and Admin. Compass Group: Market leader in providing contract catering and support services. Morriscorp: Management services to the remote resource, construction and defence sectors. Action Catering: Catering and support services to the remote mining and construction industry. Coal gas camps: Remote camp accommodation�and support services. Easternwell: Australia`s leading integrated energy and mining services provider. Complete Site: Services : Offer a range of site amenities for all sized camps. The Mac:�Develops, owns and operates high quality villages for people that work and live in regional areas. Sodexo: World leader in remote site management. Spotless: International services company specialising in outsourced facility management. ISS Australia:�Involved in some of Australia`s largest and most exciting projects and clients. Australian Portable Camps:��Provider of innovative camp solutions. Strike Force Services: Cleaning and Security Services. Wilson Security: Provide a range of specialist security, safety and emergency management services to many of Australia`s leading resources companies. Global Security Management: Provider of security, risk management, safety, medical and emergency management services to organisations within the resources, mining, construction, maritime, heavy industry and government sectors. Secure Corp: Provides a range of integrated facilities management�services. Frontline Diagnostics: Products and services for a Drug-Safe Workplace. Evolution Facility Management: Queensland company that provides hotel style services to the remote industry. Cater Care: Leading providers of contract catering, accommodation and facility management services. DCL Services: WA�company providing catering, accommodation services and facility management. Australian Camp Services: Specialise in remote site services,�accommodation supply, catering, and associated services. Hi I’m looking to get a full time job as a cook in the mines, I have 3 years experience at hogs breath cafe as a cook/kitchen hand. How can I apply? 1. Get a good mining focused resume prepared on your behalf. This will really give you a head start over other people applying for the same job. 2. 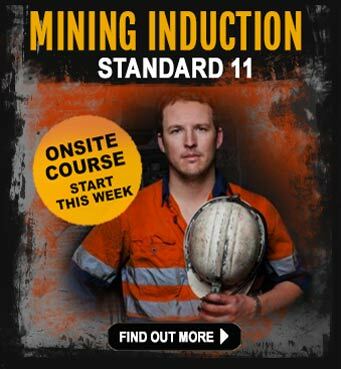 Do a mining safety course to show the mining employers you are ready to start work today! 3. Just start to look for catering jobs in the mines on SEEK, CareerOne, Indeed..even Google, there are plenty of jobs out there for good people who have experience and are willing to do the work. r.e. Catering jobs in the mines. Hi, I was wondering if there is anything in particular that should be on a resume for gaining employment as a chef in the mines. I have over 20 years experience, including fine dining, large banquets and festivals. I am currently a Head Chef. I have great experience in all aspects of the kitchen and hold a Diploma of Cookery. To get a foot in the door in any job, your resume has to be correct and look professional. No matter what job you are applying for, you must make your resume mining focused and be written in such a way that it reflects not only your experience as a chef, but also addresses the catering issues that mining companies are experiencing and highlight some of the achievements you have reached in your career. (see my tips for creating a mining focused resume) These sort of things are usually addressed in your cover letter. One tip I can give you is to go to SEEK.com.au, I’ve found some chef jobs in the mines for you to take a look at using a search for ‘chef fifo’. There are many searches on Google you can do like ‘catering jobs in mines’, ‘FIFO catering jobs’, ‘mining jobs for chefs’, ‘chef jobs mining’ on Google too. Many of the jobs will be FIFO, so you must be prepared to live this life for a while and work to a strict rostering system too. Don’t forget to read part 2 of our mining resume tips and you may just want to take advantage of a mining resume writing service to maximise your chances of getting that all important first interview. hi im looking for a new location and hope to here from your work place I’ve been doing chef work for eight years and always wanted to get in this type of place I’m a very hard worker and dedicated to my job, hope to hear from you. Thanks for your time. See my comments that I made for Nina who was also looking for a chef or catering job in the mines. 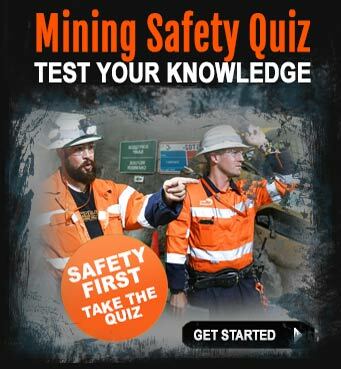 It’s got some good tips to help you land that mining job you’re looking for. Hi, I’ve been looking for cooking jobs for the past 7months. I’m interested in camp cook/cleaner positions or kitchenhand on a remote site or in a mine in Qld. I have the capacity to work hard and ensure that the people are well looked after. What job sites would be useful to me? Regards, Bron. There are a lot of places to find mining jobs and online is the best place to start. Mining job boards like http://www.seek.com.au and http://www.careerone.com.au, http://www.indeed.com.au, http://www.go2recruiting.com.au, jobseeker.com.au are good places to start. Jobseeker.com.au has a lot of mine site cleaner jobs – take a look. Google mining jobs related to the roles you are looking for such as ‘mine site cleaner jobs’, ‘cleaning jobs mining industry’, ‘cleaning jobs in the mines’ – you’ll find a load of jobs on offer. Make sure you have a mining focused resume too, it’s often the first point of contact with your future employer. There’s a lot of competition to get mining jobs, so you have to stand out with a professional mining resume and you also have to have completed the right mining induction course, especially if you want a mining job in a Queensland mine. r.e. 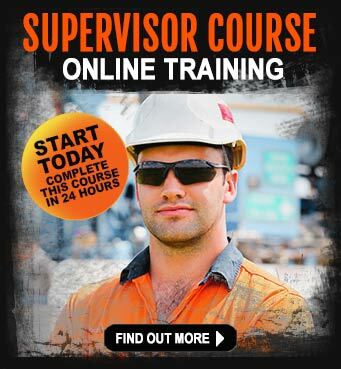 what jobs in a mine site would me in a mine site – entry level? I know it can be frustrating when you get told you need experience even though you’ve been a chef for so many years, but don’t give up. 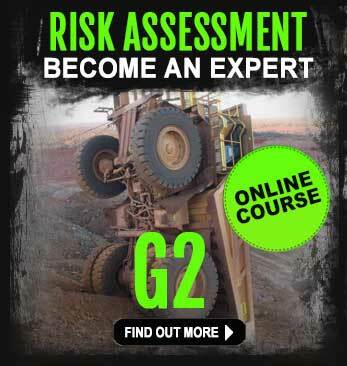 Keep trying, go online and do your research, keep looking on the mining job boards like SEEK and Career One. Do a yellow pages search for catering companies that supply mine sites. Google ‘mining catering jobs’, or ‘mine site chef jobs’ there are always a lot of lists of websites that advertise chef jobs in mine sites. Focus on your resume, make it relevant to mining, show the mining companies you’re applying to that you understand the issues and problems they are trying to solve, give them solutions and be the one that they rely on to run their catering operations without a hitch. Big responsibilities there, but this is the approach you need to take. Read my reply to ‘getting a job in the mines as a chef or a catering provider. Good luck Tim,, let us know how you go. All those looking for jobs in the mines, go to all the catering companies i.e. http://www.compass-group.com.au, http://www.sodexo.com.au, http://www.issfacilityservices.com.au, http://www.actiongroup.com.au. There are many more and if you are ready to start immediately, you are likely to be called once they receive your resume online. Every company is desperate for workers especially those with trades. Take the time to check them all out and go for the one whom is offering a great work place. Its not always about the money. It certainly makes a difference when you can work in a good working environment. You will last longer and be happier to FIFO. Good Luck. Great info Tani. These are the major players in mining catering in Australia. They each have recruitment pages on their websites. hi my name is carl im a chef from perth im 29 and have lots of experiance at the head and sous level im very keen to find sum fifo work as perth restaurants dont pay well at all im sick of working 70hrs a week and only geting paid for 30 im a very hard worker where should i look to find a job that pays what hardworking chefs deserve? hi, i am an Army cook. 4 years exp, have had alot of experience with bulk cooking and working in remote locations. considering going to the mines to cook. Are there many positions going? Where would i apply? and what are the pay and conditions like? You might want to try a few different emoployers like Morris Corporation jobs or try sodexho group jobs or compass group. Most of the conditions vary from employer to employer but there is definately a need for more cooks because the size of the camps are getting bigger and bigger. I have experience as a kitchenhand, chef & catering. I am interested in working for a mining company. Please email with information on how to apply. Hi, im looking to know how to get a job in the mines i have been wokring in hospitality for 8 years just wondering where i start?? I am looking for a position in Hospitality for the mines. I have 10 years experience in food and beverage service and 5 years experience in Training and Assessment. I have a certificate IV in Hospitality and a Certificate IV in Training and assessment. Hi Iam 23 and a hard worker Barista and allrounder in the kitchen . done short order cook duties and well as breafasts really want to get into the industry live in NSW . Hi Iam 23 hard worker barista allrounder in the kitchen use to long hours. Really want to break into working in the mines. I an currently employed by the Commonwealth Government for over 20 years. I also work night fill at my local supermarket. I am interested in a career change. One move, would be to gain experience in the hospitality industry withi the mining sector. From there, I receive training in other key areas, and from there move up ladder. I am looking for FIFO type of work. Do you have any suggestions that could assist me in the matter? Try Compass Group, at the moment they have a lot of vacanies with mining companies….. They do their own recruitment.. good luck!!!! I was moving down to townsville, Queensland. And was seeking for a hospitality job with good money. Like every other person, I came to know hospitality jobs in mines pay you good bucks. Can you please suggest me where I can drop my resume.